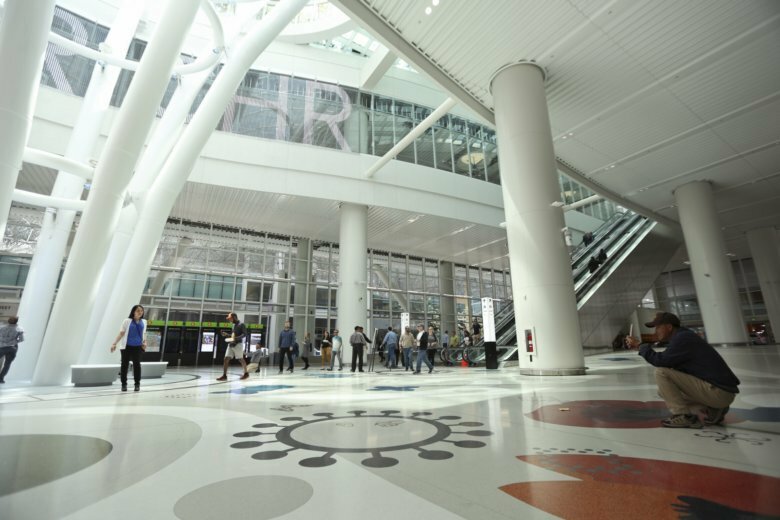 SAN FRANCISCO (AP) — San Francisco officials shut down the city’s celebrated new $2.2 billion transit terminal Tuesday after discovering a crack in a support beam under the center’s public roof garden. The center is operated by the Transbay Joint Powers Authority and its executive director Mark Zabaneh said workers discovered the crack around 10 a.m. while replacing roofing tiles. Zabaneh said engineers spent the day inspecting the damage and decided to shut the station around 5 p.m., just as the afternoon rush hour started. Zabaneh said the crack was found near a weld on a stress-bearing horizontal beam. He said he did not know how long the crack was, but he told reporters that American steel was used in the center’s construction. He said structural engineers would be working at the building Tuesday night to assess whether it is safe for people to return. Buses were rerouted to a temporary transit center about two blocks away that was used during the center’s construction. A downtown street that runs under the beam was also ordered closed indefinitely, causing traffic chaos at the same time some streets were closed for a conference sponsored by Salesforce that was expected to draw 170,000 attendees. It sits adjacent to another dubious landmark, the so-called sinking condominium, Millennium Tower, which has settled about 18 inches (45 centimeters) since it opened over a former landfill in 2009. Homeowners have filed multiple lawsuits against the developer and the city, some alleging that construction of the transit center caused the Millennium Tower’s sinking.